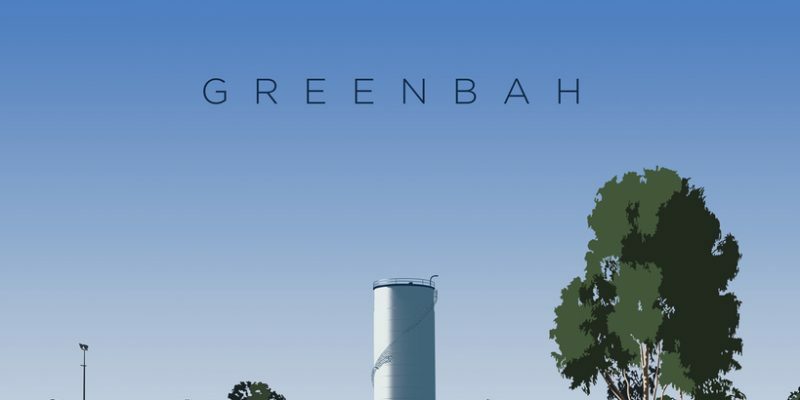 This album Greenbah introduces the Billy Roberts and the Rough Riders sound in a way that appears as Indie-rock or Americana with a touch of grunge, in my opinion. Old Friend is the opener, and this offers an organic warmth that sets the scene well. The leading voice is that of Billy Roberts himself, and it’s here where the grunge element comes in – this is a voice with equal parts grit and smoothness; a passionate softness, slightly reminiscent of the likes of Eddie Vedder, though perhaps leaning more towards his acoustic offerings than the heavier stuff. This song makes for a great start to the project, the writing is emotionally appealing as it deals with nostalgia and familiarity – these things we all experience in our own ways. No One Knows Me has a much more anthemic, indie-rock feel than the opener. The rhythm of the verse melody, the way these lines are delivered, has a real rock heart about it. Alongside of this, the instrumentation follows suit strongly, providing a distinct thread and keeping that level of warmth present despite the deeply personal, reflective nature of the lyrics. Only One offers up a gentleness, a subtlety – a piano led ballad of sorts emerges. The energy is still fairly upbeat once things get going, though there’s a tiredness to the melody and the concept – a somewhat heartbreaking sense of dedication and longing. At times this song feels hopeful and loyal, at other times it seems tinged with regret. The Americana and Blues-rock angle often fuses two opposing emotions in a captivating and stylish way, and in this case the choice works well. The songwriting combined with the leading voice are what really make this project stand out. It’s refreshing to hear this genre making waves, what’s even more refreshing though, is how interesting, unexpected, and provocative so much of the writing is. 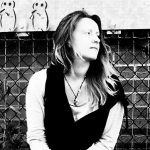 Blood And Bones brings about the joyfulness again, an upbeat warmth surrounds you, then these poetic, thoughtful lyrics pour out and inspire you to consider the story and the ideas presented within. It’s actually worth pointing out that the recording style on this record adds to the slightly grungy ambiance. The leading voice sounds fairly distant, forever emotional and compelling, yet soaked in reverb and even a touch of vintage crackle to really separate singer and listener – making this more of a movie screening, so to speak, than a simple listening session. Don’t Tell Mamma is a rather epic track that showcases the raw emotion of the leading vocalist’s performance and his connection to the song and its concept. This is a point at which you really want to listen – enjoy the ambiance, yet think more deeply about it all as well. An intermittent electric guitar part adds a stylish touch of drama and confidence that increases the colour and poignancy of the piece. Things brighten up again for the song Sinner. The riff that unfolds from the start has a certain flair to it that is immediately memorable. The lyrics and the layout of the melody add to this effect brilliantly. The lines are short and concise, the music simple yet captivating. This song is a personal highlight. Then you get the mellow rhythm and seductive swagger of Little Johnny. The movement, the strings, the smoothness, the almost whispered leading voice – this one marks a deeply characterful and hugely appealing moment of scene setting and story telling. Something new comes through in the sound, something you hadn’t necessarily picked up on before. It broadens your view of the band and it makes the songs sound different – you receive them differently with every new bit of information or expression. This is a good thing. It gets better and better each time. Ed’s Song finishes things off in a bright and upbeat way. The somewhat muffled recording style contrasts with the multi-layered composition and again with the hopeful honesty of the lyrics. It makes for a unique final moment and I think it really closes the project down well. That indie anthem feel returns for one last blast. These simple, repetitive verse lines work wonders, leading proudly up towards the hook, at which point the whole thing explains itself more clearly and satisfies the listener in a musically complete manner. If anything, eight songs is too few. However, as always, it’s far better to leave your audience wanting more, than to outstay your welcome. I look forward to hearing what the future holds for Billy Roberts and the Rough Riders.